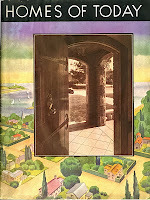 Doesn't "The Mystery of Red Shield Lodge" sound like a Hardy Boys book? Well, there is a Sears-built house called Red Shield Lodge in the Northwest suburbs and it's got some unanswered questions surrounding it. 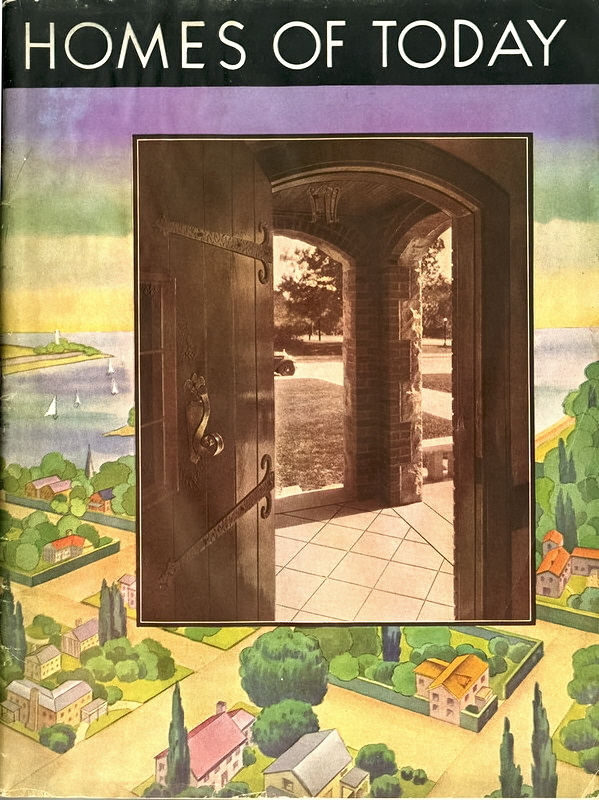 In the 1931 catalog, Homes of Today, Sears promoted their custom home design and construction services. The Home Construction Division of Sears could build you a house "from any plans you may have or plans prepared by your own architect." In communities that had Sears construction offices (like the Chicago area) Sears would "engage the best building contractors and supervise all construction from start to finish." 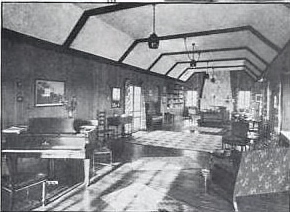 Many interior photos were also shown in the 1932 catalog. Exterior of Red Shield Lodge from the 1931 catalog. Sorry about the bad copy quality. 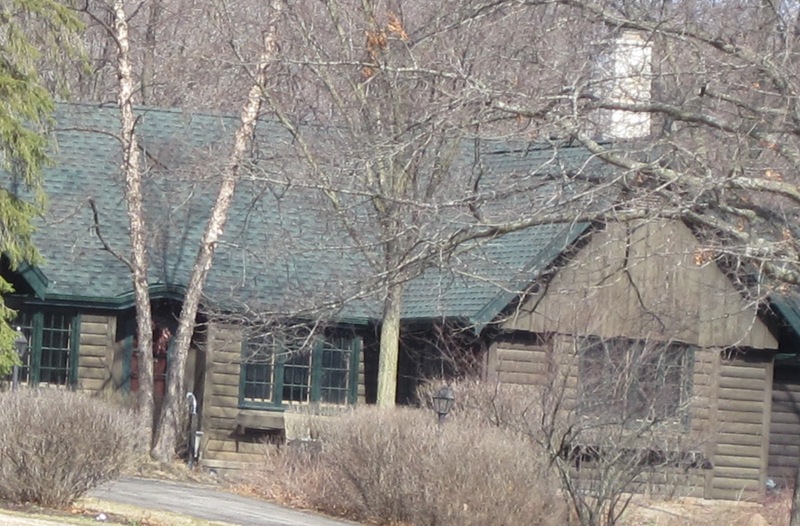 According to the catalog, Red Shield Lodge was an "H" shaped early American log cabin built by the Home Construction Division of Sears. It's not clear whether Sears architects designed the house. The exterior had log pattern siding made of stained cypress. The roof was red cedar shingles. 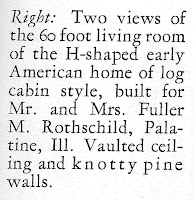 The Rothschilds' living room was 60-feet long with a vaulted ceiling featuring hewn oak beams. There was a huge stone fireplace. The house had three bedrooms: a massive master bedroom with an attached dressing room and two guest bedrooms with connecting bathroom. The house had electric refrigeration, a built-in incinerator, colored plumbing fixtures, random width oak flooring, and copper flashing. 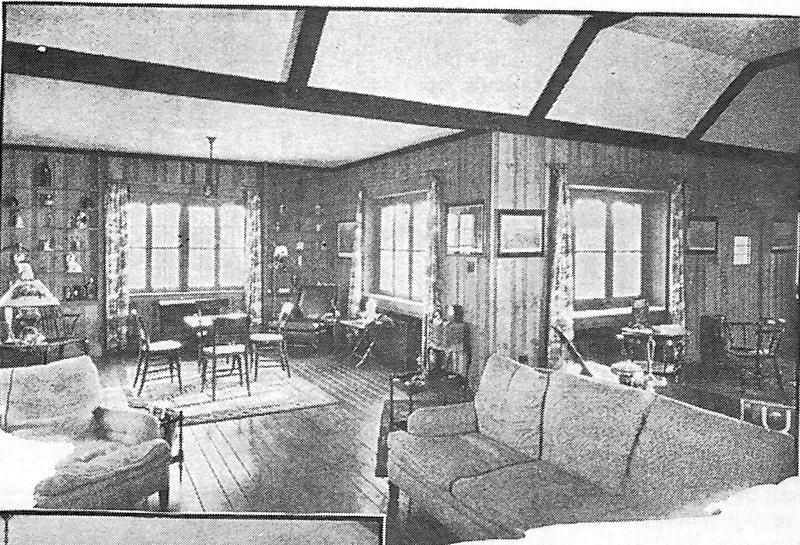 The house also featured a maid's bedroom and bathroom, an in-ground swimming pool, and an attached two-car garage. This was a pretty swank house! Which leads us to our first question: who exactly were the Rothchilds and how did they afford to build this kind of house during the Great Depression? They clearly were not the typical farmers living in the country in Palatine Township. Fuller Maxwell Rothschild was from one of Chicago's elite families. Fuller's father, Jesse, came from a moneyed family. Jesse worked as a stockbroker in Chicago for the Rothschild & Co. brokerage firm that his brother co-founded. (This company was founded in 1908, survived the Great Depression, and still exists today as Rothschild Investment Corporation.) Jesse was included in all the who's who listings of the time, including the Chicago Blue Book--"a book containing a list of fashionable addresses" and The book of Chicagoans : a biographical dictionary of leading living men and women of the city of Chicago. Fuller was born in 1907. He attended Yale University for three years, but did not graduate. Fuller also worked as a stockbroker for Rothschild & Co. In 1929, he married Marjorie Ruth Silberman. Her family was also very influential in Chicago high society, living in a 10,000 square foot mansion they built in Kenwood. The newlyweds moved into the luxe Whitehall Apartments on Chicago's Gold Coast. For some reason, at age 47, Jesse moved away from his job and friends in the city to rural Palatine Township in 1928. Jesse bought a 44-acre estate off of Ela Road which served as his primary residence. In 1930, Fuller and Marjorie followed Jesse out to Palatine Township. 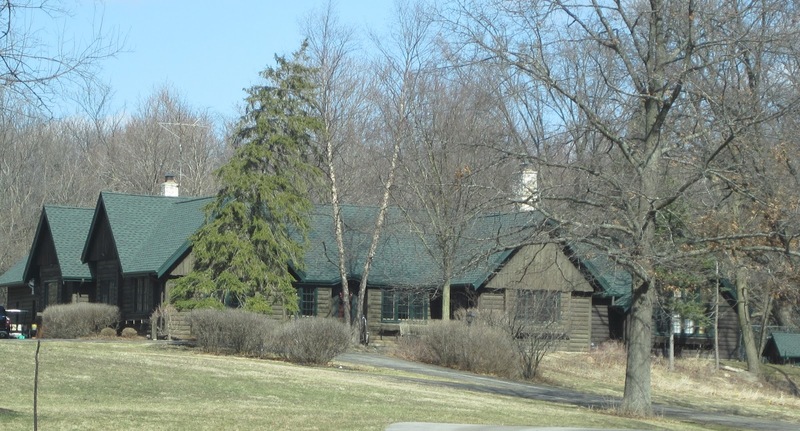 They worked with Sears to construct Red Shield Lodge that same year. 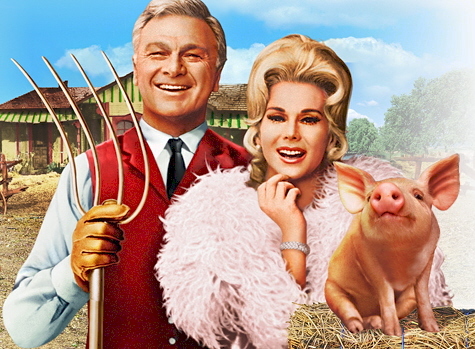 Does this seem very "Green Acres" to you? I'm having a hard time wrapping my mind around this wealthy, fashionable, urbane couple moving out to the sticks. Fuller became a breeder of purebred dogs, so maybe this was a reason for the move. The Sears house was built on Frost Road off of Ela Road. Frost Road originally led to the Frost family homestead, but several homes were built on the road between 1930 and 1934, including Red Shield Lodge. Most of the families in the new homes came from Chicago. 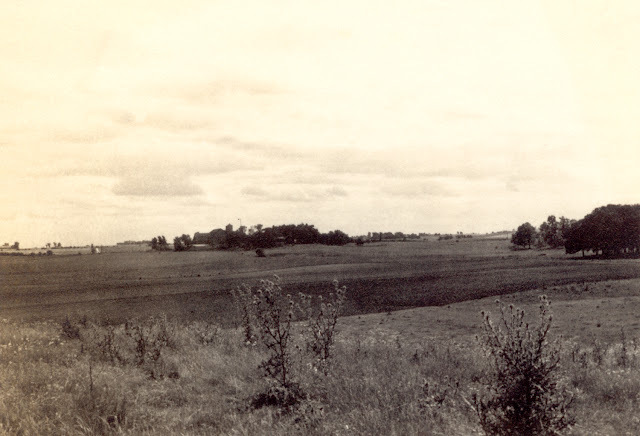 View from Frost Road in 1942. The move to the country must have been a culture shock to the Rothschilds who had previously been living in a luxury high-rise on Chicago's Gold Coast. Photo courtesy of Mark Swanson. 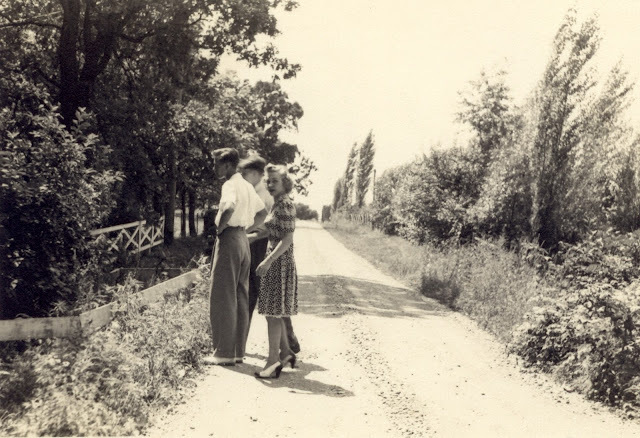 Frost Road in 1942. The entrance to Red Shield Lodge was at the end of the road on the right side. Photo courtesy of Mark Swanson. And now the real mystery: Why did Fuller and his wife choose Sears to build their home? They certainly had enough family money to hire any builder they wanted. However, Jesse had business dealings with Sears, Roebuck & Co. and perhaps Fuller and Marjorie got the house for free or at a substantial discount. Shortly after the construction of the house, Jesse was the plaintiff in an Illinois appellate court case against Sears in 1935 so we can assume the business relationship had deteriorated at that point. Sadly, Fuller and Marjorie divorced in 1939. They had three children. I do not know when the Rothschilds sold Red Shield Lodge (or to whom). 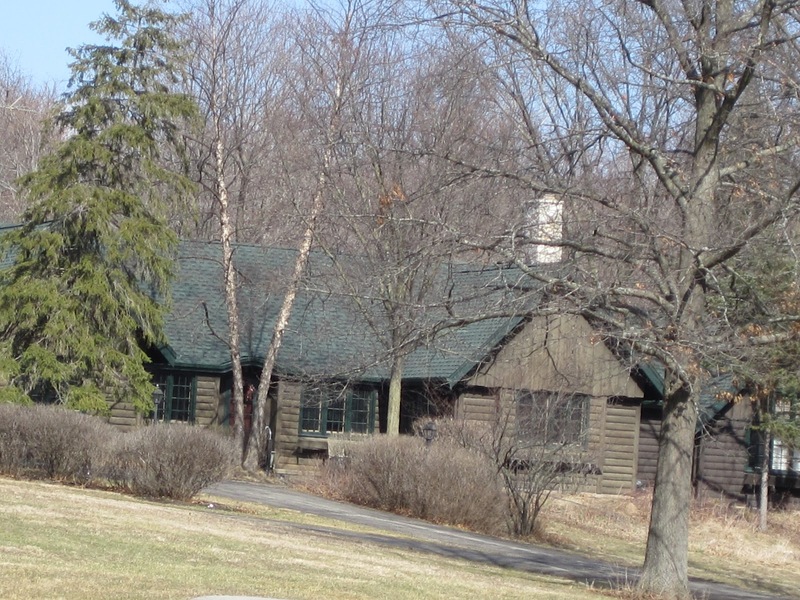 Red Shield Lodge and the other houses on Frost Road are still part of Palatine Township. Today, the area still feels very rural, and Frost Road backs up to a county forest preserve. I contacted the homeowner in hopes I could get some exterior or interior photos, but I did not get a response. Therefore I drove over to the house to snap my own photos, but to my dismay, I discovered that Frost Road is private. Of course I trespassed, but then I found that Red Shield Lodge is so far from the road I could barely see it through the trees. It currently sits on over four acres of land. This is the best I could do without getting arrested. On the positive side, at least Red Shield Lodge is still around and seems largely unchanged since 1931. I heard from Fuller and Marjorie's eldest son who grew up in the house. He said that the property was originally intended as a summer house where the couple could entertain their friends. 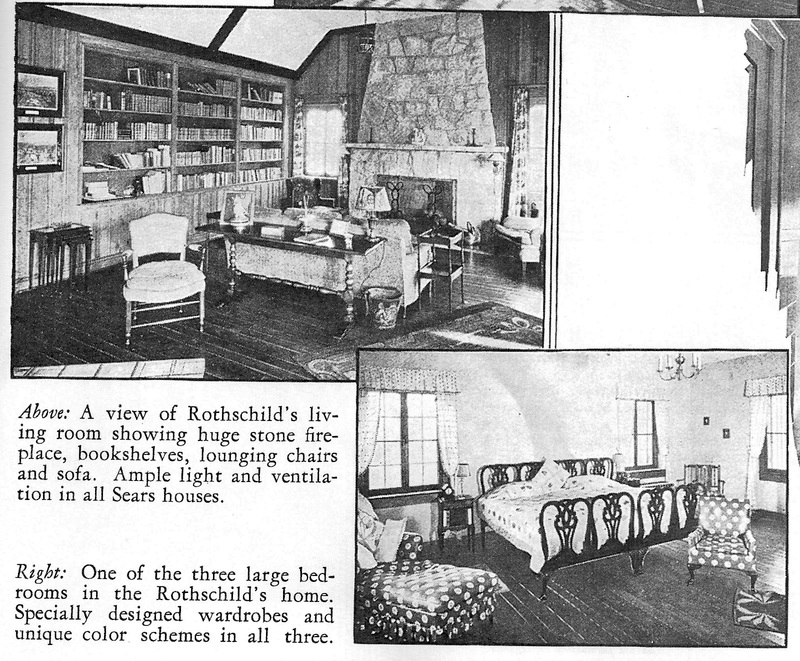 In the winters, the Rothschilds lived with Marjorie's parents in the city. Marjorie Rothschild worked as an interior decorator, affiliated with Sears, Roebuck. 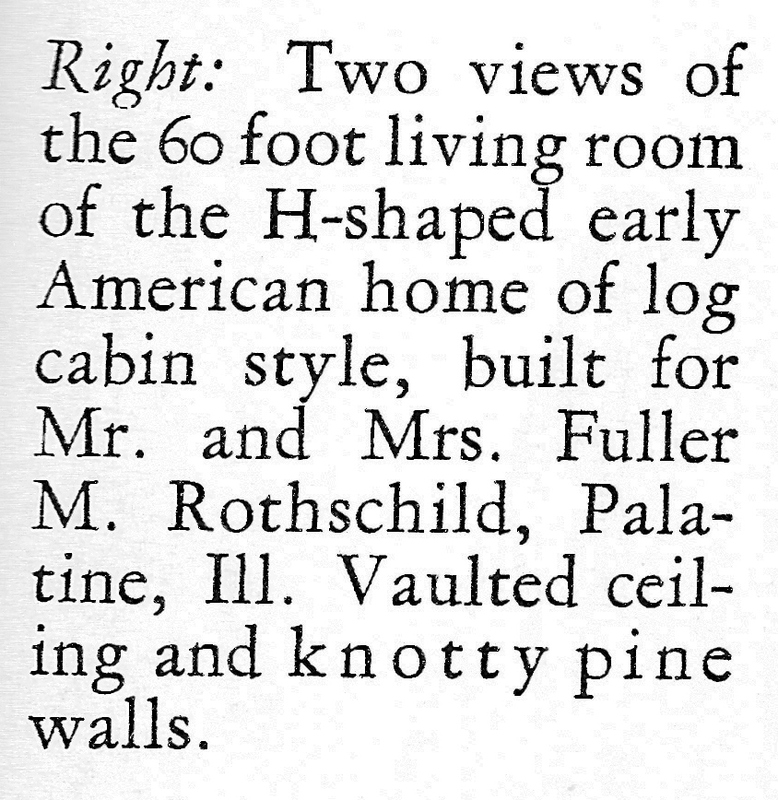 After the Rothschilds divorced, Marjorie remarried and began living in the house all year round beginning in 1940. Marjorie and her husband renamed the property Hobby Hill. 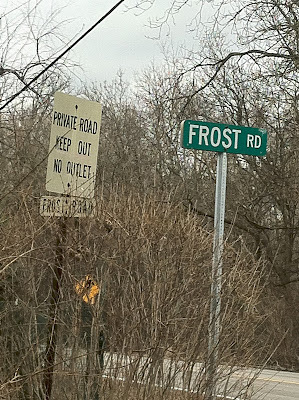 (Some of the old-timers in the area still refer to Frost Road as Hobby Hill Road.) Fuller served in World War II as a medical technician and later moved to Los Angeles and remarried. Marjorie and her husband sold the house in fall 1952, reportedly for $60,000, and moved to Chicago. Newlyweds Madonna and Richard Heinen moved into Hobby Hill in October of that year. Over the years, the ten acres were subdivided, and today the house sits on just over four acres.